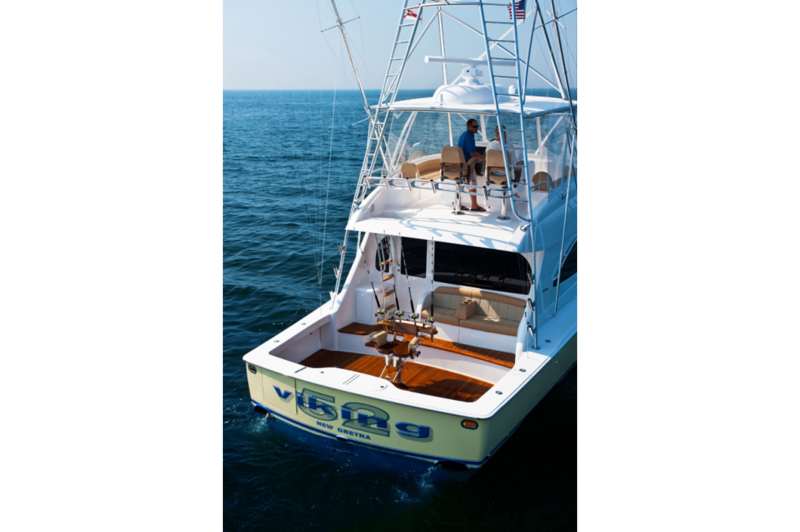 We invite you to contact your Viking dealer about this model and to arrange a sea trial and tour of the 862,000 square foot Viking facility on the Bass River near Atlantic City, New Jersey. 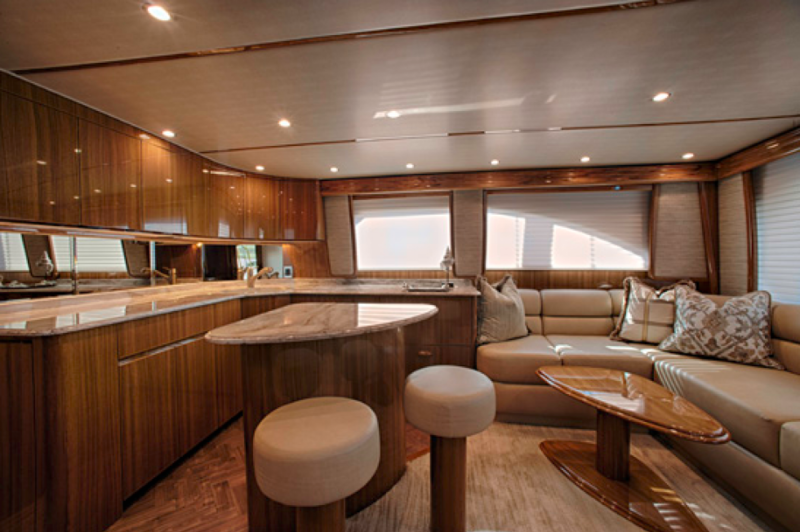 The resin infused hull boasts a sophisticated matrix of composite materials including end-grain balsa coring, DuPont Kevlar, and knitted fiberglass laminates. 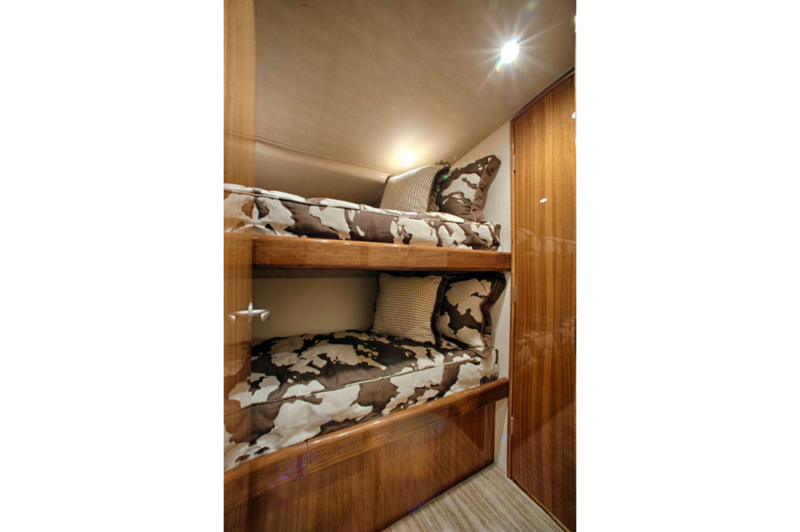 The one-piece deckhouse assembly stretching from the bow pulpit to the inner transom liner features carbon fiber in its composite structure. 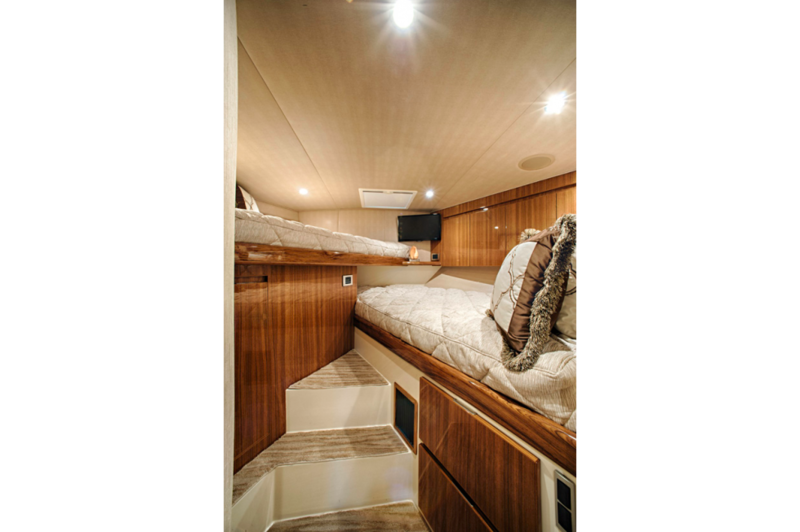 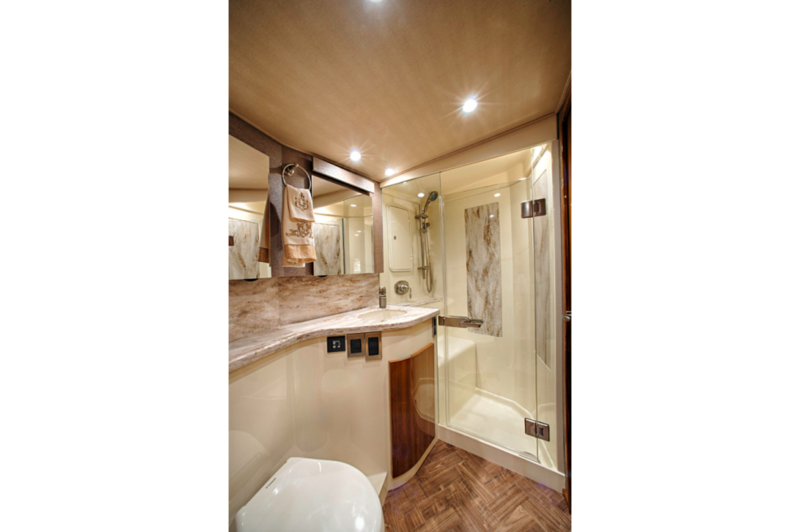 A molded fiberglass forepeak liner forward of the engine room sheds weight by incorporating the outer walls and floor, the lower port bunk, the sink base module and the shower pan for both heads, and the forward starboard bunk base. 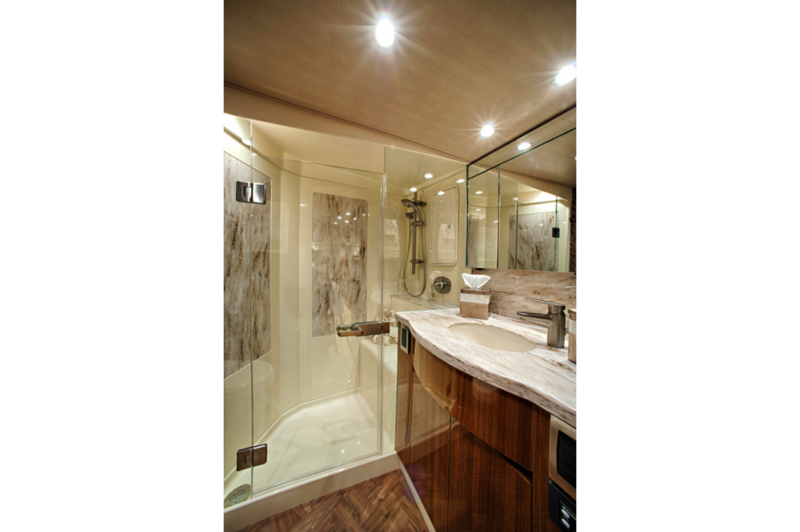 Maple lined interior hanging locker doors and cabinet and drawer fronts utilize a lightweight honeycomb core material. 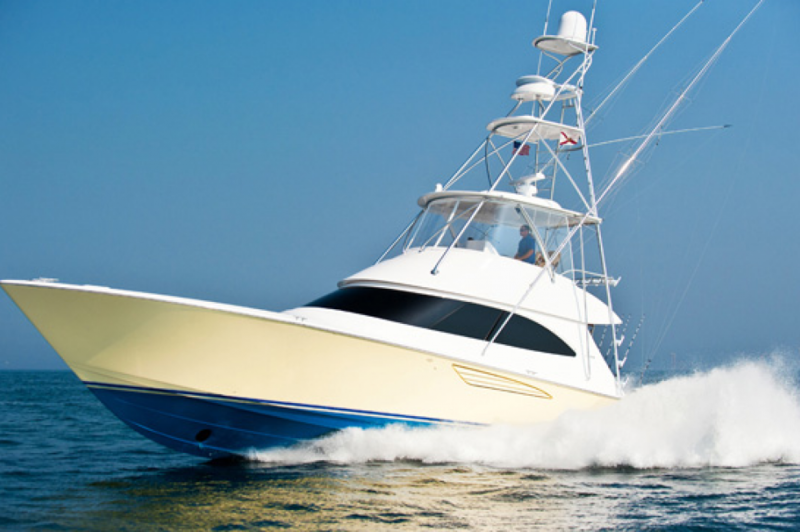 Continuing along its evolutionary trail, the forward entry is sharpened to knife through head seas. 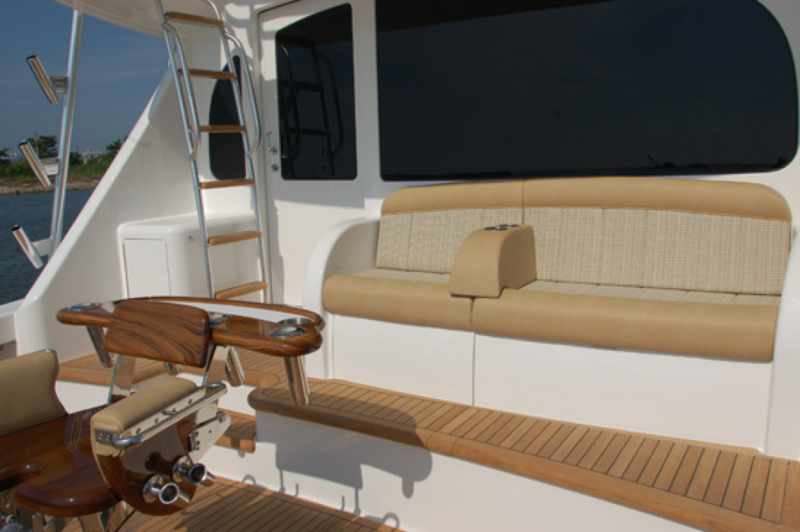 The convex hull shape adds buoyancy and molded strakes on the bottom provide lift for planing efficacy. 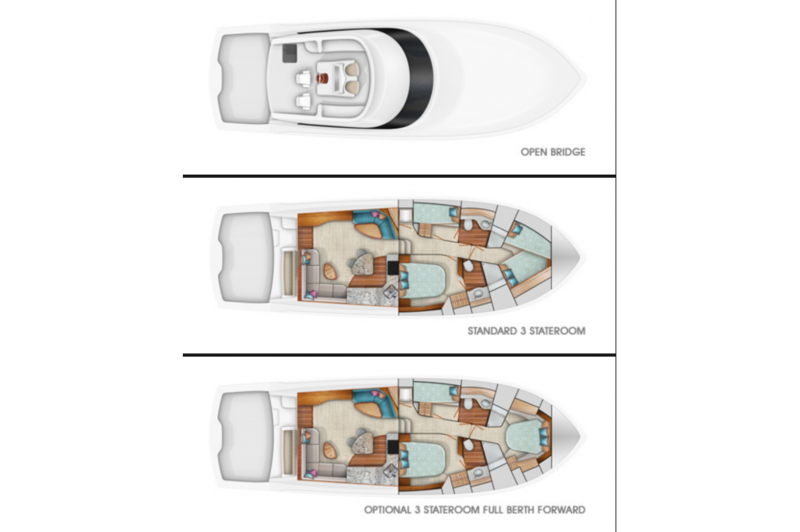 As a whole, these hull and the V-bottom features and the 11.8 degree transom deadrise, utilize horsepower most efficiently for better speed and faster throttle response in keeping with the theme of all new Vikings. 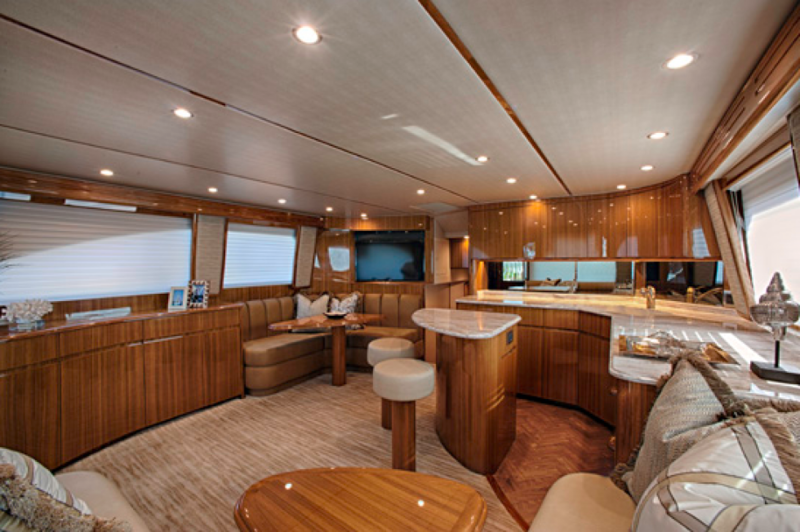 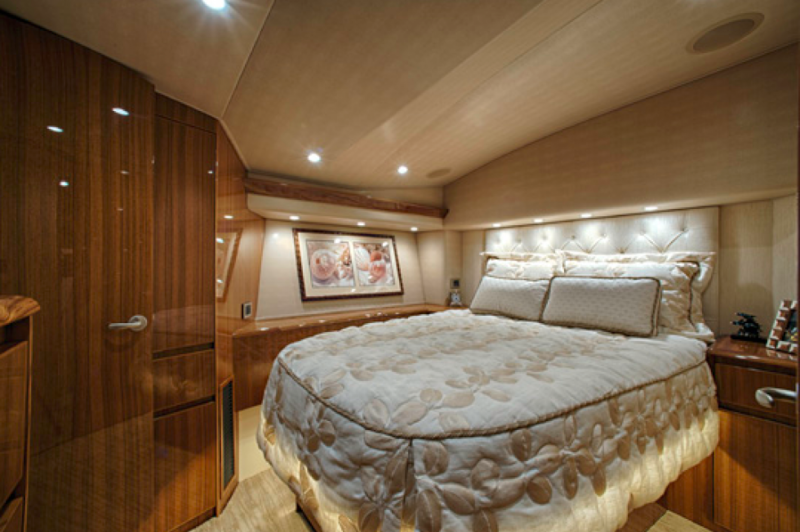 The 142 square-foot cockpit offers the convenience and comfort of our exclusive observation mezzanine, while the flying bridge showcases our exclusive center console helm station arrangement with flanking lounges and forward seating. 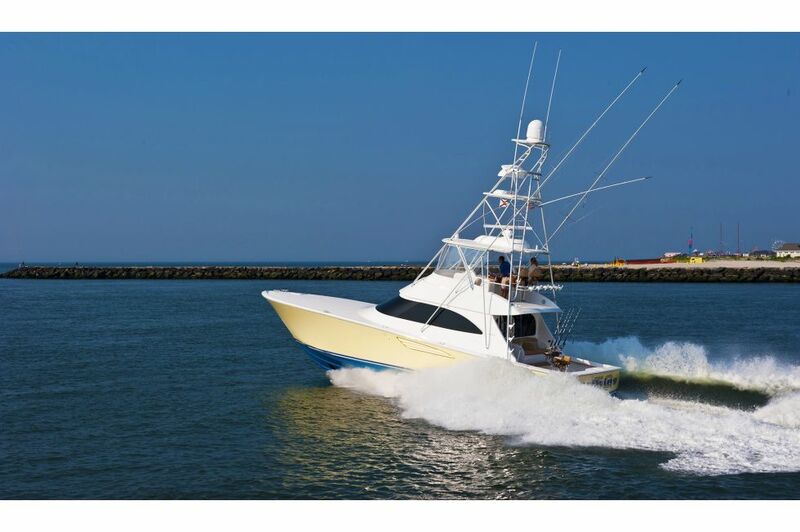 The Viking 52 Convertible can be customized with Palm Beach Towers and Atlantic Marine Electronics equipment and accessories and be delivered turnkey ready.